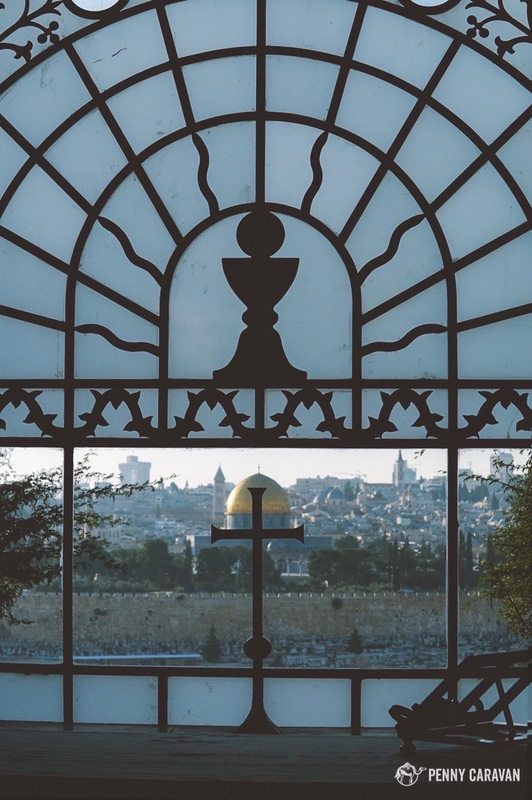 Jerusalem’s Mount of Olives is a special place connected to many biblical events. 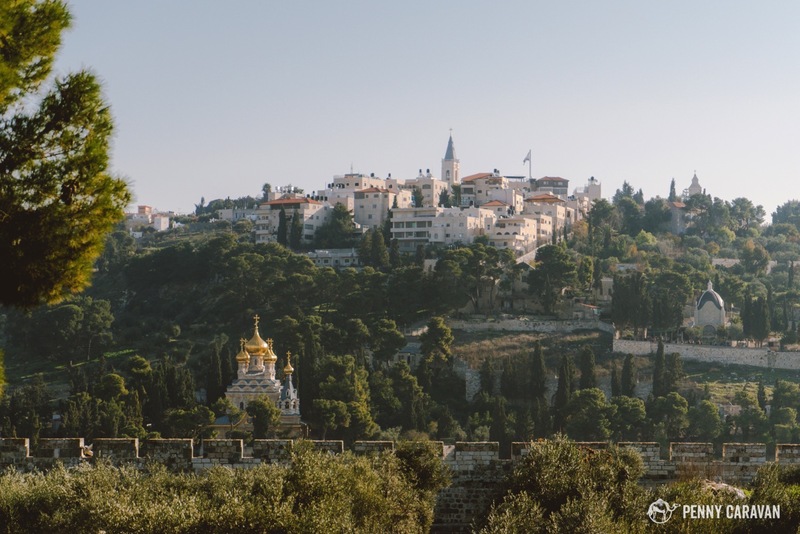 It was here that Christ took his disciples to pray at the Garden of Gethsemane where he was arrested, and from here that the faithful believe he ascended into Heaven after his resurrection. 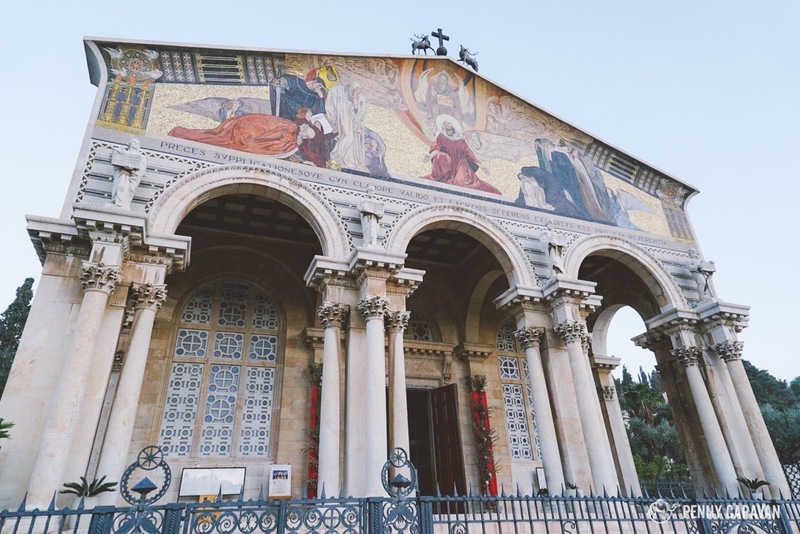 The Garden of Gethsemane can still be visited today, as well as many churches that cover the slopes and which each commemorate different events in the life of Christ. 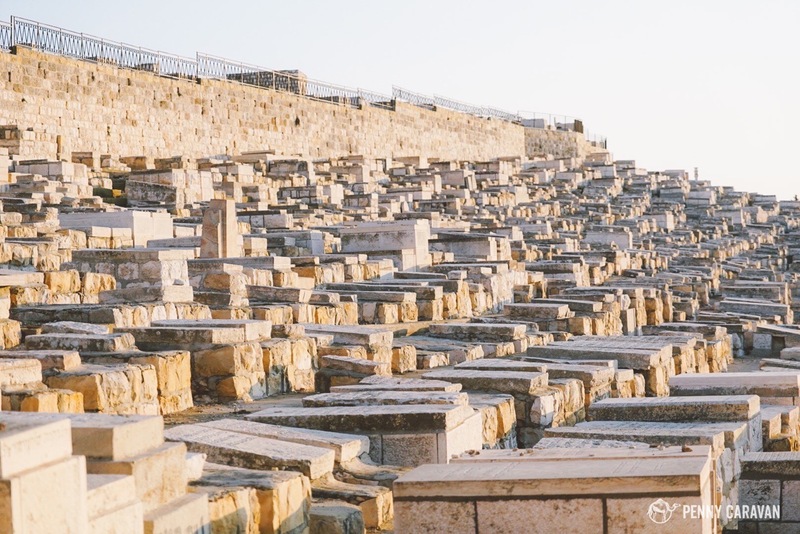 The Mount of Olives is also special to Jews, who believe that when the Messiah comes, the dead will begin to rise from their graves starting on this mountain. 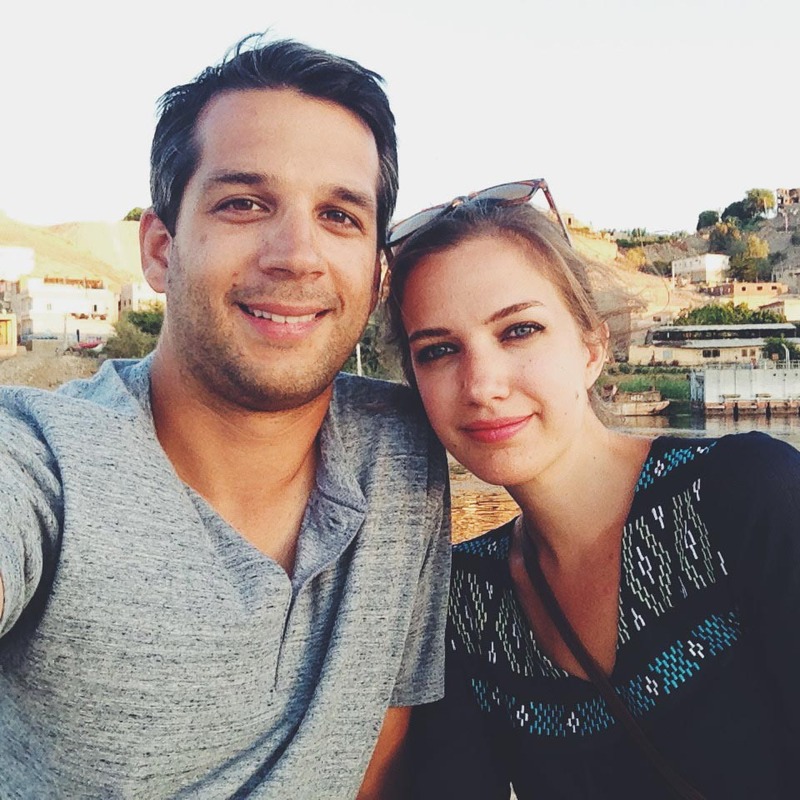 For this reason, more than 150,000 Jews have chosen to be buried on the hill looking toward the Old City. 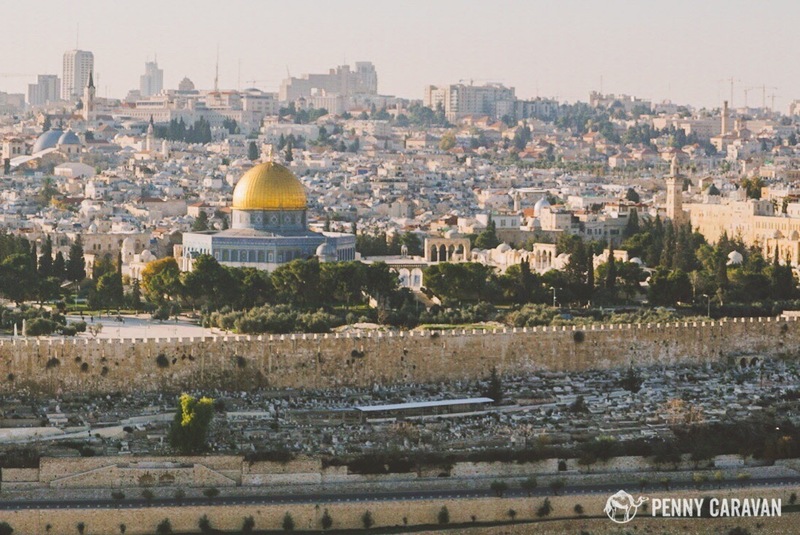 It’s this view that is so often seen on postcards, because it’s the perfect vantage to see the city surrounding the Temple Mount, with the Dome of the Rock shining in the center. 150,000 graves on the Mount of Olives. View of the Temple Mount from the Mount of Olives. 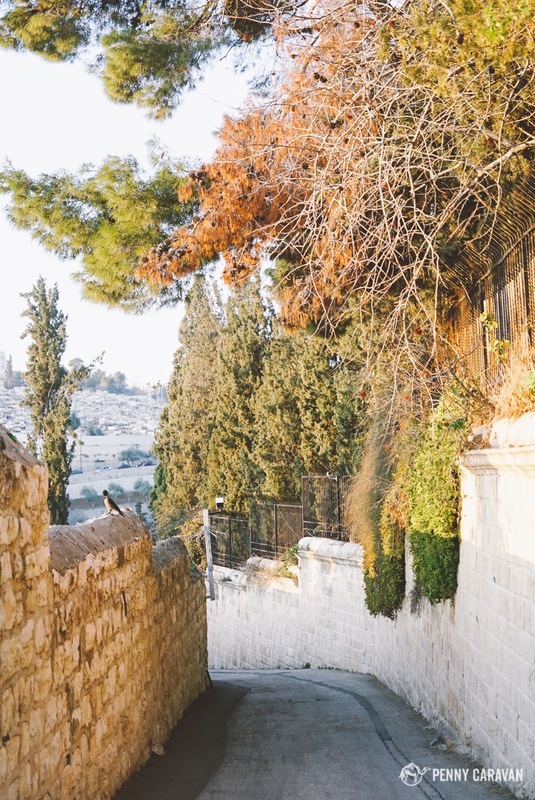 The East Gate (bottom right, barely visible) is the only gate into the Old City which has been blocked for centuries, and which Jews believe will only be opened when the Messiah walks through. The Western Wall is on the opposite side of the Temple Mount. This photo was taken from the lookout point at the Seven Arches Hotel, at the very top of the Mount of Olives. The best way to visit the Mount of Olives is to take a taxi to the very top (30NIS from Lions Gate). Ask for the Seven Arches Hotel, where the lookout point is located. Then after visiting the churches at the top, you can walk down the hillside. This way you won’t wear yourself out before you even arrive! You can also take Arab bus (the blue and white ones) number 75 or 275 from the bus stop outside of Herod’s Gate, for 5NIS. 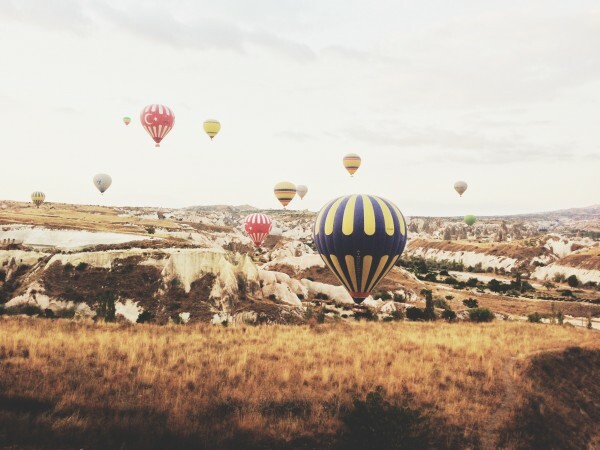 It’s best to visit in the morning hours, which offers the best light on the panoramic view. 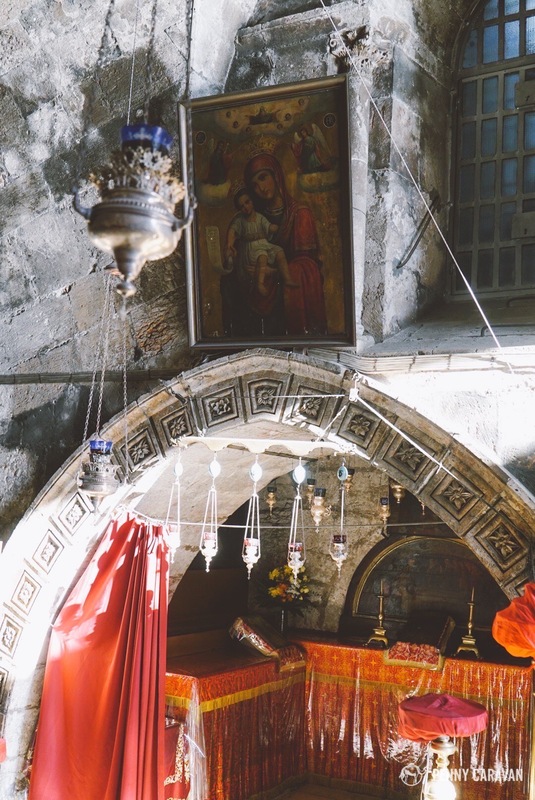 If you want to visit the three Russian Orthodox Churches, you’ll want to go on a Tuesday or Thursday as these are the only days they are open to visitors (and for limited hours, at that). 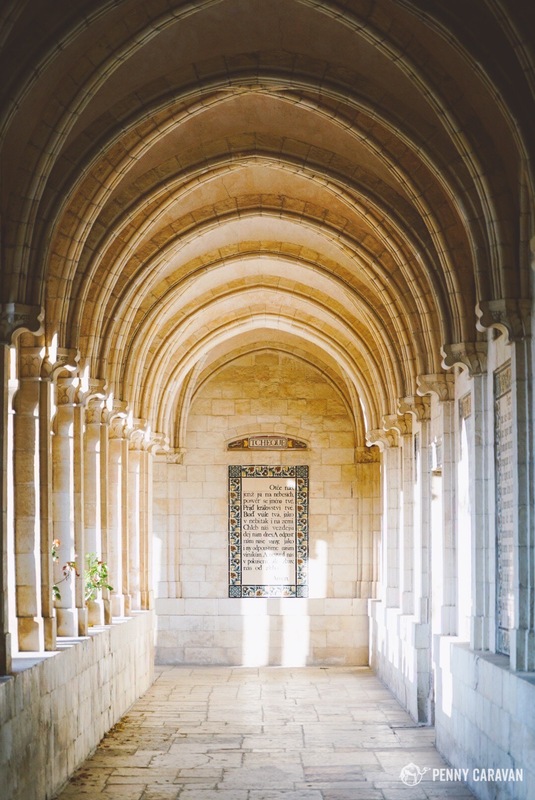 Be sure to take a careful look at the opening hours of each church that you want to visit, and plan accordingly. Mary’s tomb is located at the bottom of the hill, and within walking distance from Lions Gate. Stairs descend immediately from the entrance down into a grotto filled with dozens of hanging oil lamps and musty incense. 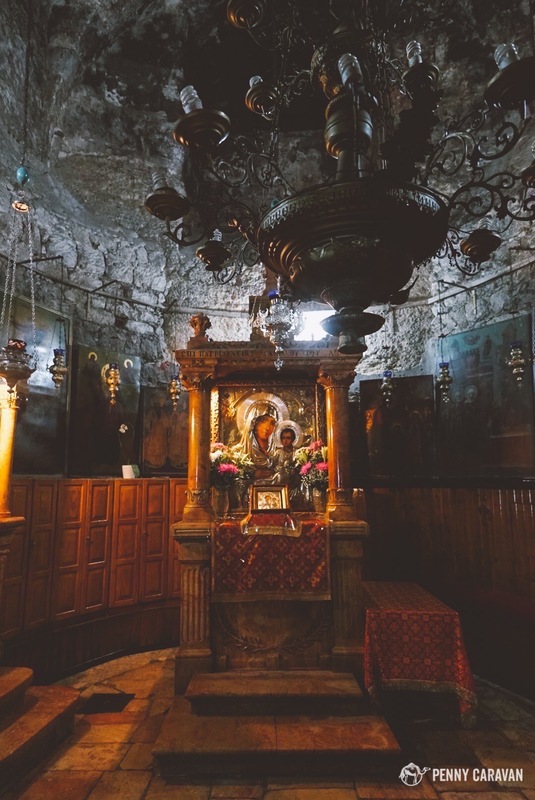 At the bottom, the tomb is located on the right, and the holy icon of Our Lady of Jerusalem just to the left. Tomb of the Virgin Mary. Be careful as you enter, because you will be descending immediately into the grotto, and it may take some time for you eyes to adjust to the darkness. Holy icon of Our Lady of Jerusalem. The golden domes of this church can be seen from all over, making it a good point of reference from the city’s many panoramic views. 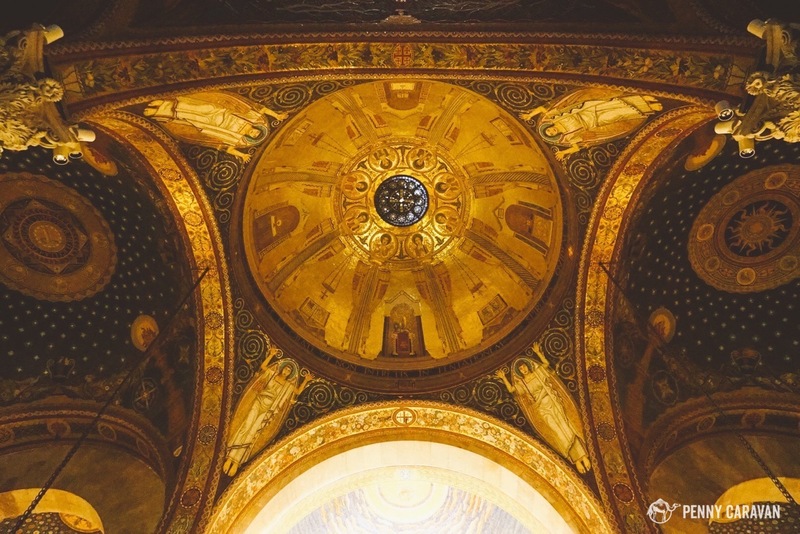 It is at the bottom of the Mount of Olives, near Mary’s tomb. The golden domes of the Church of Mary Magdalene are on the bottom left. The steeple of the Russian Church of the Ascension is the highest structure on the Mount of Olives. Also visible in this photo is the Church of Dominus Flevit, middle right. 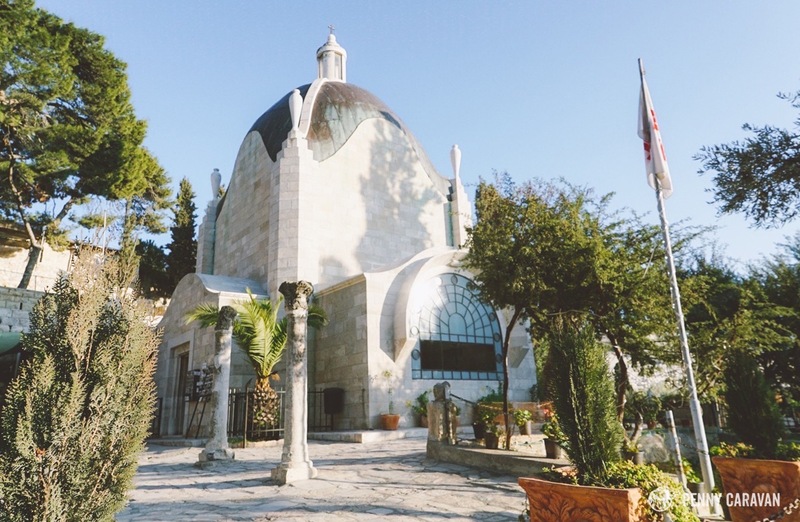 At the top of the hill and near the Pater Noster is the Russian Chapel of the Ascension, which is a working monastery built where the Russian church believes to be the exact location of Christ’s ascension. It’s steeple is the tallest structure on the Mount of Olives and can be seen in the photo above. Hours: irregular, but there is usually someone there in the mornings. 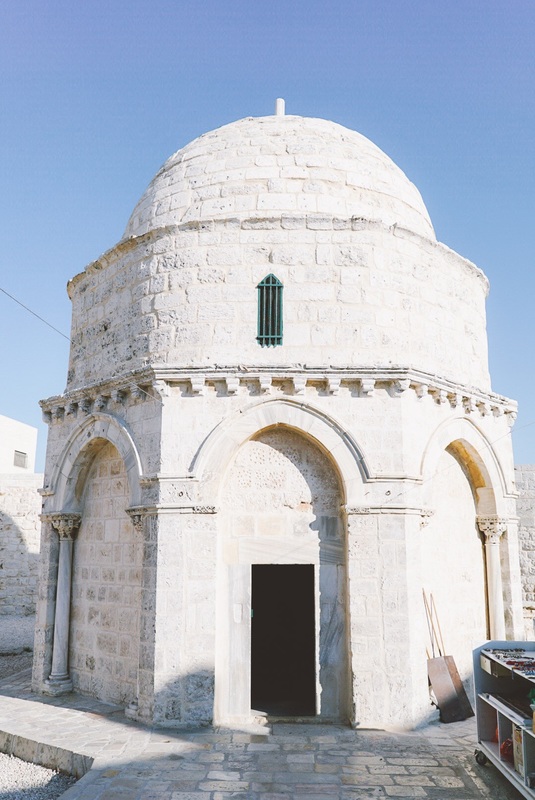 A very small and unassuming dome is built over what is traditionally, since Byzantine times, thought to be the exact location of Christ’s ascension. 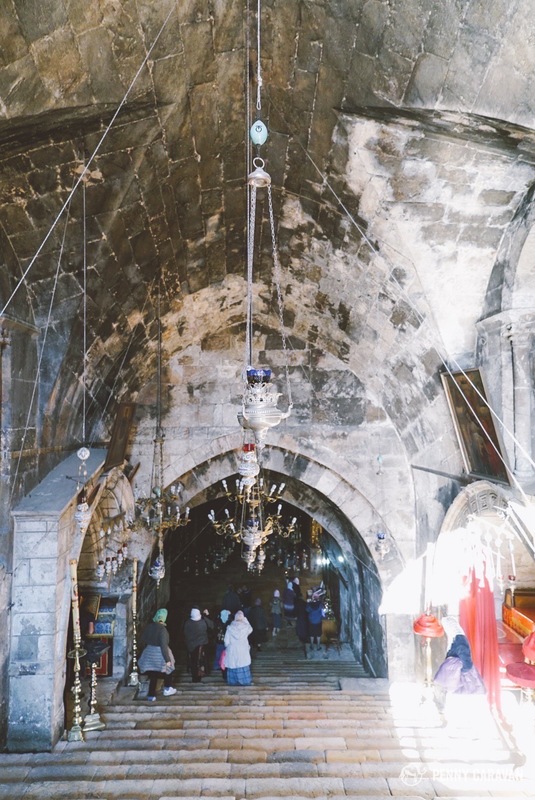 A mosque was built around it by Saladin in 1198, as Christ is revered also by Muslims as a holy prophet. Inside the dome is the right footprint of Christ (the left was taken to Al-Aqsa Mosque). Chapel of the Ascension, inside the Mosque of the Ascension. 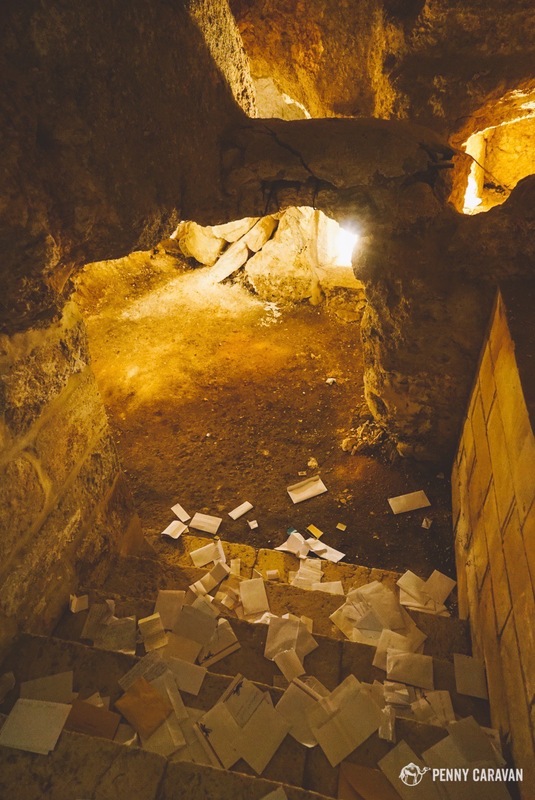 A cave located on this site is thought to be where Christ spoke to his disciples and taught them how to pray. 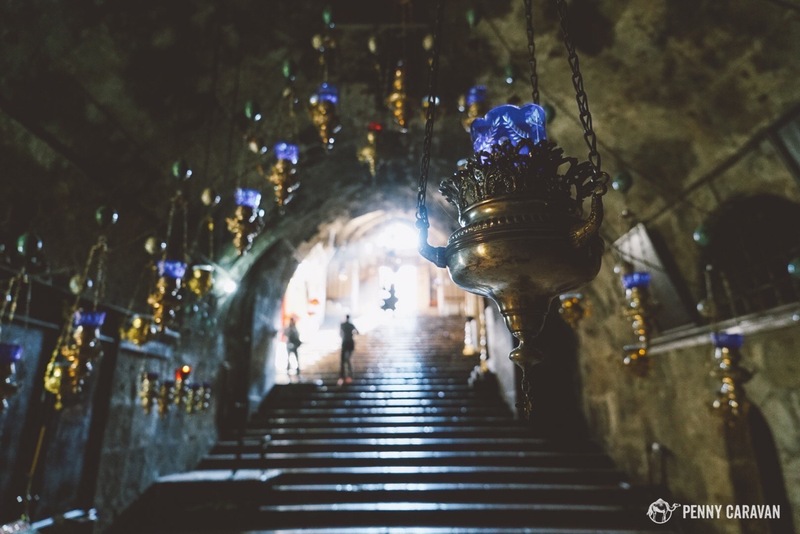 Like most of the holy sites of Jerusalem, the cave was located by Helena, mother of Constantine, and the site was expanded by the Crusaders. 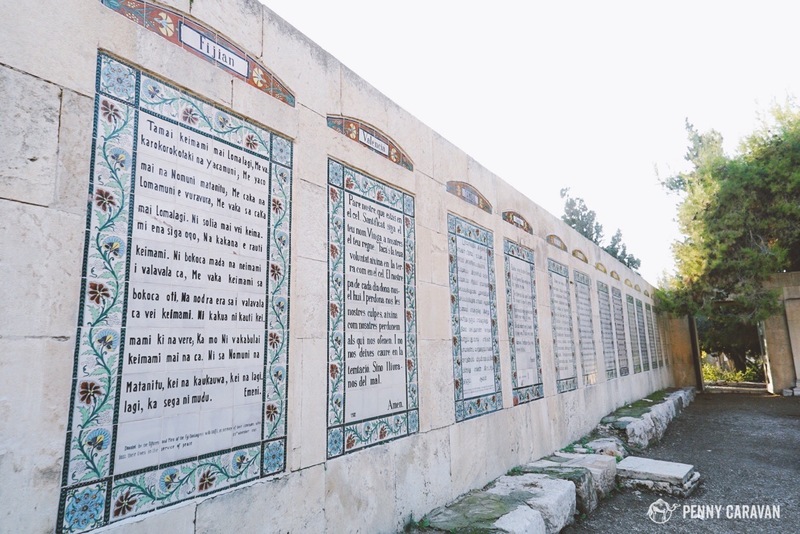 The Lord’s Prayer is written in more than 160 languages here, painted on tiles which line the walls of the courtyard (and which are continually being added). This was our personal favorite site on the Mount of Olives. It was especially touching to see the Lord’s Prayer written in the native languages of our own North American tribes, which are spoken by so few people, but are given equal importance. 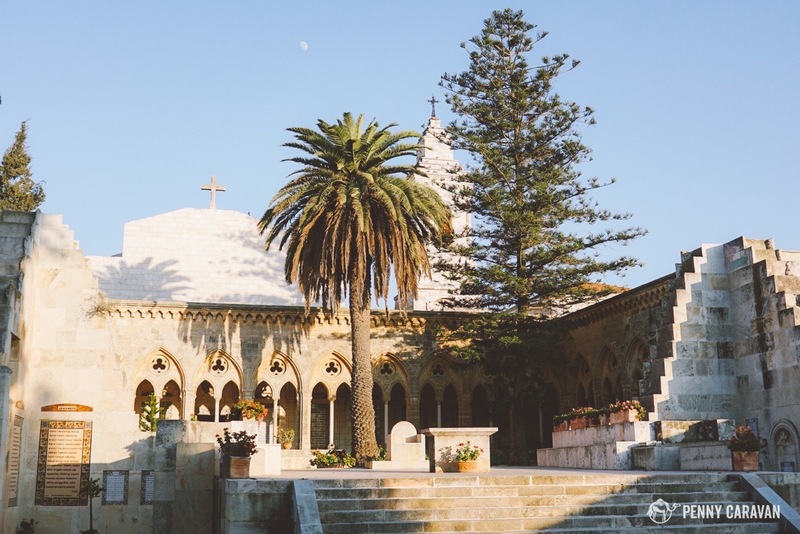 The courtyard garden was a stark contrast to the golden domes of the more holy sites such as the Church of the Holy Sepulchre. 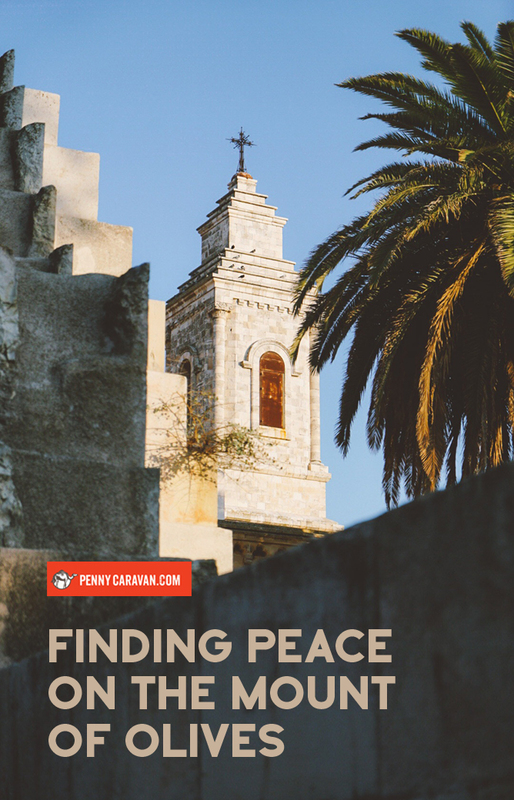 It seemed just like the kind of place Jesus would have liked—a peaceful place outdoors, where all are welcome. 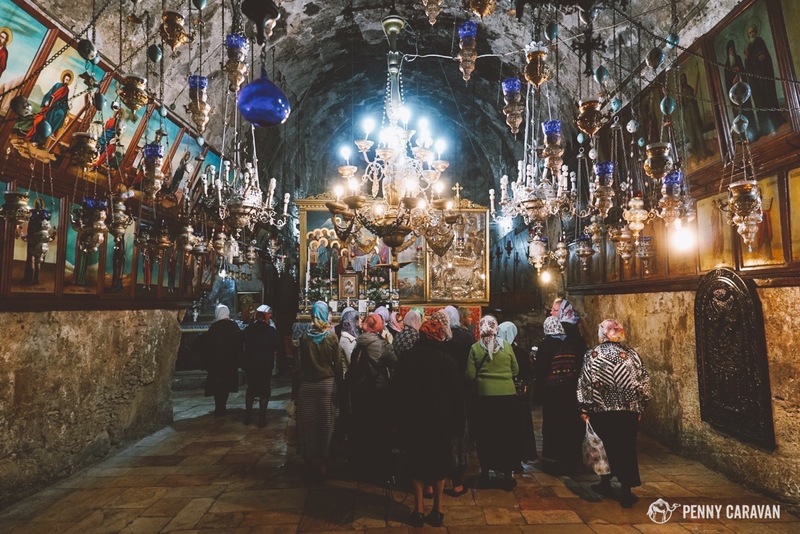 Pilgrims leave prayers in the grotto where it is believed Christ taught the prayer to his disciples. From the Seven Arches Hotel, it’s quite easy to see the path just north of the cemetery that goes to the bottom of the hill. The Dominus Flevit Church will be located about halfway down. 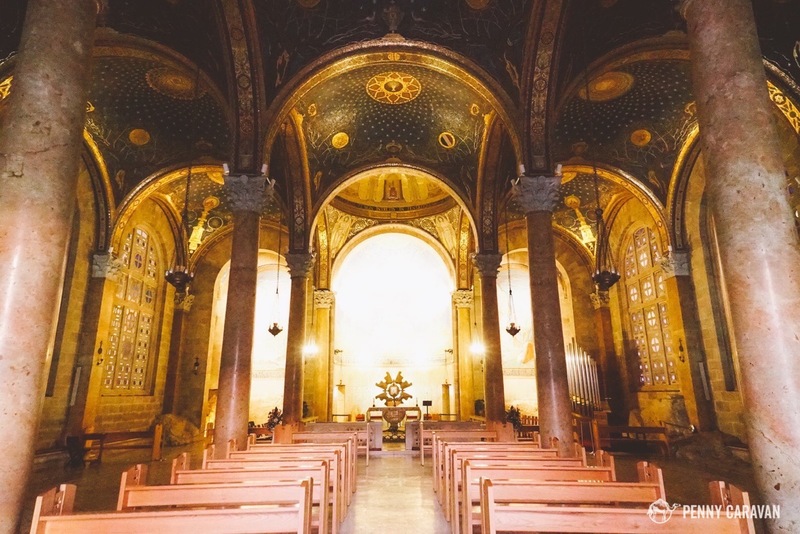 This Roman Catholic Church is shaped like a teardrop, and commemorates where Jesus wept. The path down the hill. 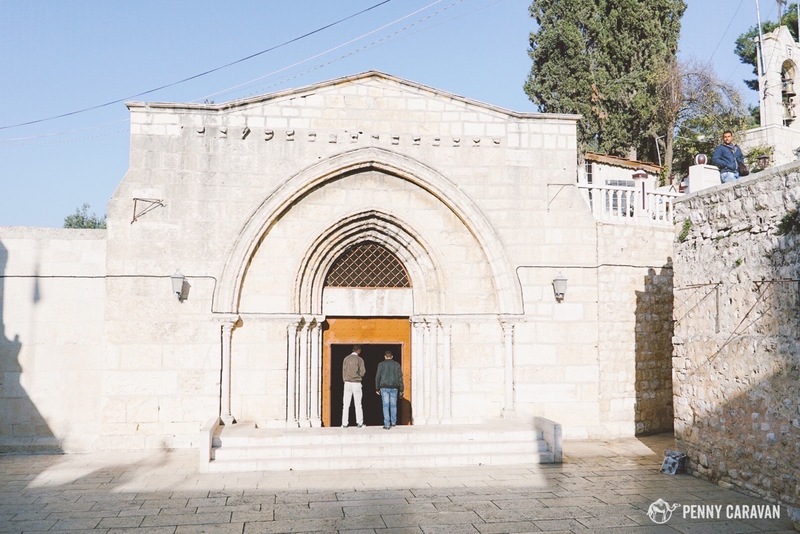 This church is named for the many nations that came together to finance the building in 1919, and is centered around a piece of bedrock where Jesus is believed to have prayed. 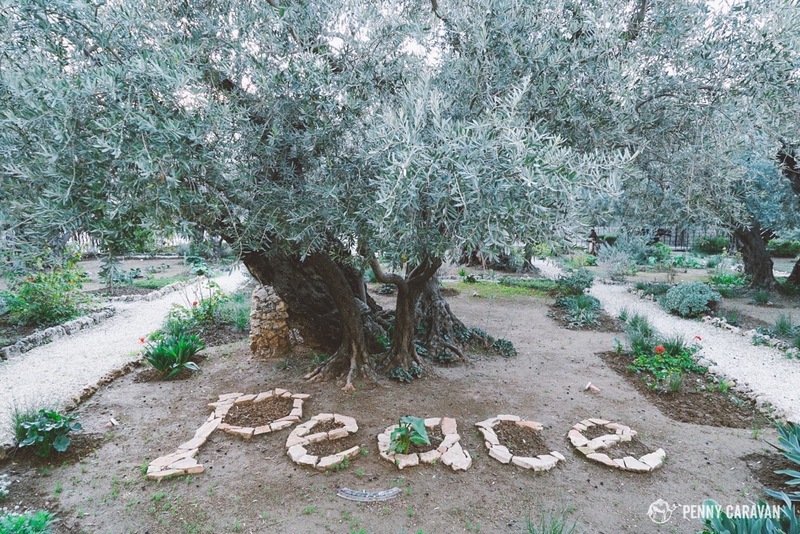 Just next to the church is a fenced off garden with olive trees that have been scientifically dated to be more than 2,000 years old—making them some of the oldest in the world—and meaning they bear witness to Christ’s arrest. 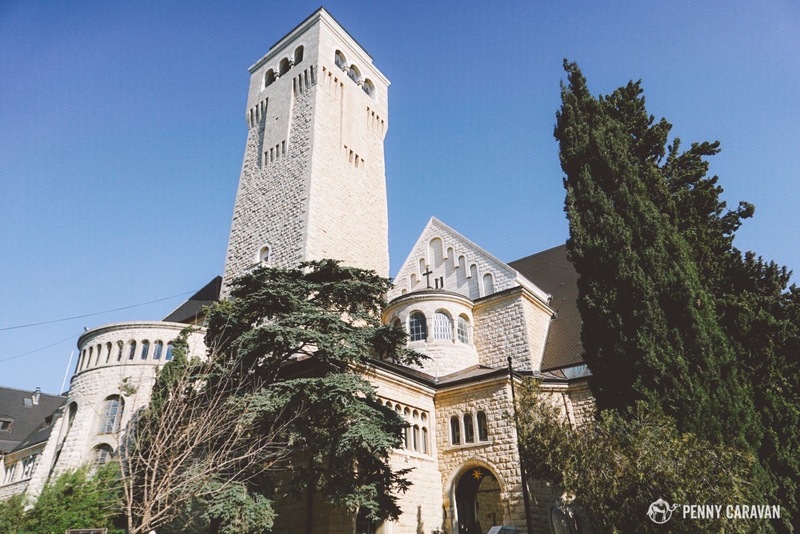 This complex was built as a German hospice and church, and later converted to a hospital as it remains today. 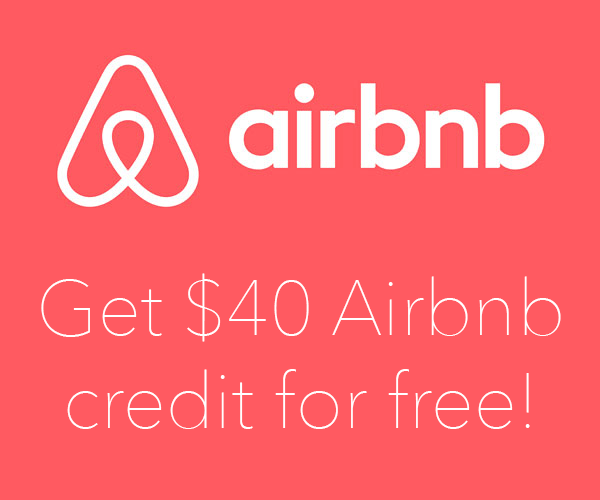 It is one of the stops on the #75 and #275 Arab bus routes, so it’s easy to get to from the bus stop outside of Herod’s Gate. If you’re unsure, you can ask for Mustafa Mutala, which is how the complex is known in Arabic.